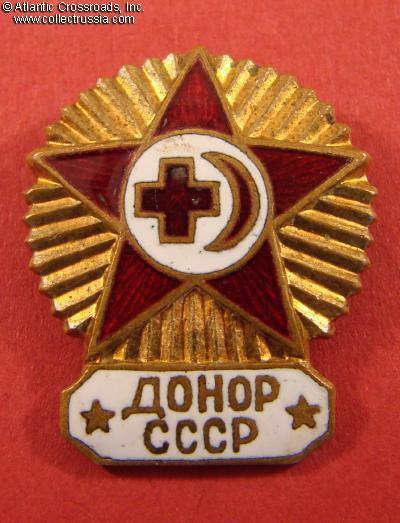 Blood Donor of the USSR, circa 1950s. Brass, enamels. 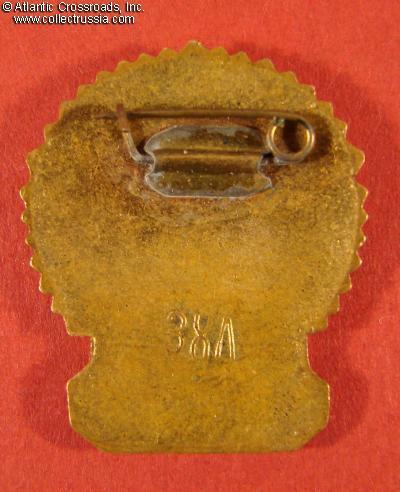 Raised maker mark "ZKhL" to the reverse. Approx. 26.5 mm tall. Very fine to excellent condition. 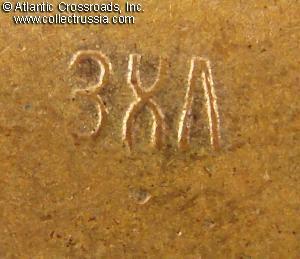 The enamel shows only very minor wear, no chips or significant flaking.